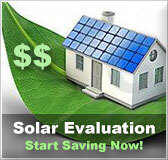 Washington residential solar energy incentives | Solar Panels | Solar Power | Site Map | Bookmark This Site! -Through December 31, 2009, the Northwest Solar Cooperative offers to purchase “Green Tags” (the rights to the environmental attributes) derived from grid-connected photovoltaic or wind energy for $0.02 per kilowatt-hour. -At the start of December 2009 these contracts may be renewed for another three-year term. -Residential and non-residential owners who install PV and wind-energy systems are eligible to participate in the Green Tag Purchase Program. -Other states aside from Washington that are eligible to participate in this program include; Oregon, Idaho and Montana. -An agreement with NWSC must be signed by participants. The agreement includes the following; Participants agree to sell their Green Tags, report system malfunctions or failures, and submit meter readings of AC production every year. -Equipment used to generate electricity from renewable sources such as wind, sun, fuel cells, biomass, geothermal, anaerobic digestion or landfill gas are exempt from all sales and use tax in the state of Washington. 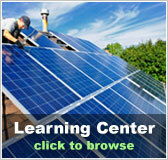 -Solar water heating systems will only be exempt up until June 30, 2009. 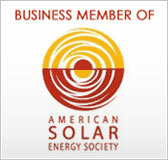 -Solar photovoltaics less than 10 kilowatts of capacity are tax exempt. -Several utility loan and rebate programs are available throughout the state of Washington provided by municipal cities and utility companies. -Information and details on all the different programs are available on the internet. -Loan and rebate programs are generally available for customers who install renewable energy technologies or make energy efficiency improvements. -Loans are usually 0% interest or low interest loans to help with the purchase and installation of solar and other energy efficiency technologies. 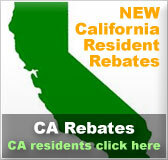 -Rebate amounts will vary depending on the system, equipment or appliance. -Net metering is available to customers who have systems with a bi-directional meter that generate electricity through solar, wind, methane, biomass, hydropower or geothermal systems. -Systems must have a capacity of 100 kilowatts or less to be eligible for net metering.